Offering career-focused education since 1946, Pittsburgh Technical Institute is a two-year college with two locations in Western Pennsylvania: a 180-acre campus in North Fayette, west of Pittsburgh, and a center at the Regional Learning Alliance, north of the City in Cranberry. PTI offers degree and certificate programs in areas such as Building Technology, Business, Criminal Justice, Design, Healthcare, Nursing, and Information Technology. PTI students can take advantage of online course offerings, on-campus residence halls, student activities, intramural programs and community service programs. PTI is accredited by the Middle States Commission on Higher Education. 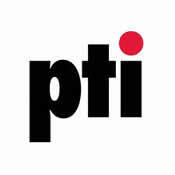 PTI was recognized by its employees as one of the region’s Top Places to Work in a 2011 study commissioned by The Pittsburgh Post-Gazette. For more information, call 1-800-784-9675, or visit http://www.pti.edu.